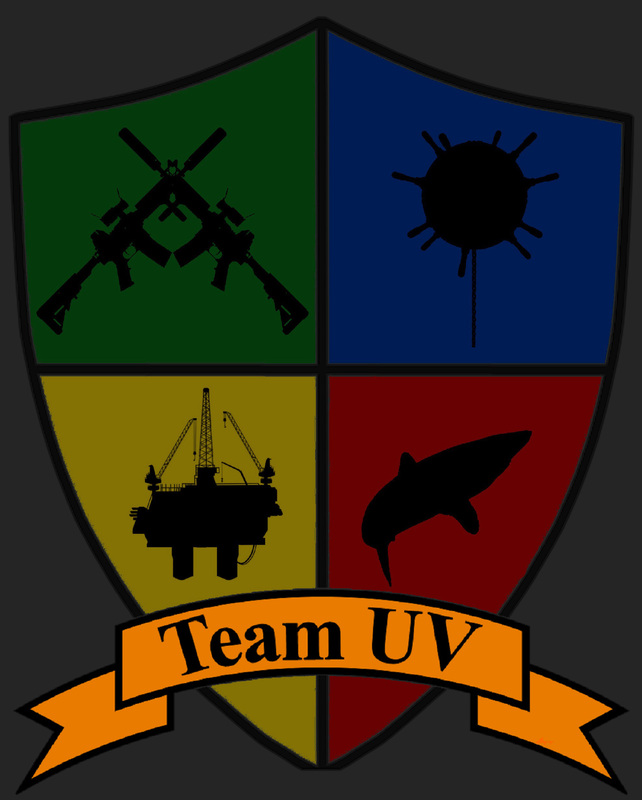 Team UV | Redefining the classical concept of an underwater vehicle. Team UV has officially transitioned to Engineering A Future (EAF). 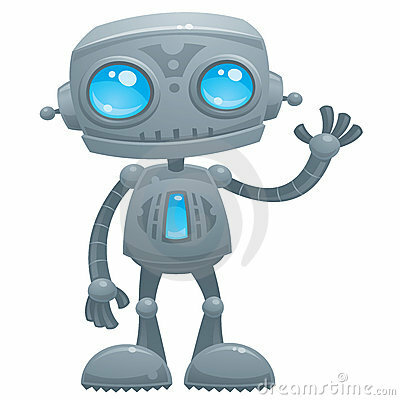 Please click the following link or the above picture to redirect to our new website: Engineering A Future ! Be sure to subscribe to our new website & follow it please! Well, it appears that it has become time at last for Team UV to end its journey. Today marks the 345th day that TeamUV.org has been active and I can guarantee you that every one of us here at Team UV has throughly enjoyed and cherished the 29,676,840 seconds that this blog has been running (at the time of publishing this post). During this time we have had the incredible opportunity to share some of our own research and, far more importantly, help to inspire interest in the STEM fields amongst the general public with visitors from 115 countries for a total of nearly 8,300 views and well over 200 likes from 114 WordPress followers, our email followers, and many others. This blog has far exceeded our expectations and for that we have all of our family, friends, supporters, and readers to thank. Without all of you, we would have never been able to accomplish what we have over the past year. I have been honored to lead this team and to have the chance to interact with all of you on a daily basis, all-the-while growing with my teammates and watching them progress through the challenges of the last 15+ months of our senior project. I believe that I can speak for all of us when I say that the experience of writing to all of you here at Team UV is not one that any of us will soon forget. These are the kinds of memories that stick with you. The experience afforded to all of Team UV by sharing with you all over the past year will serve us well in the future as we push onwards and upwards in life and face new challenges, and I sincerely hope that our time here will serve all of you in the same way. From compressible flow regimes to programming Arduinos to biomedical diagnostic tests to 3D-printing makeup to insects with gear-like rear legs, we truly have covered a whole lot of incredibly diverse topics here at Team UV, but we have not even begun to scratch the surface of what the world of engineering has to offer. Part of the beauty of the world of engineering is that it truly is limitless. Boundaries to the engineering mindset do not exist and physical barriers to what engineers can do simply serve as challenges for scientists and engineers alike to accept. We hope that we have begun to shed some light on this reality and on the opportunities available within the STEM fields. We set out hoping to reach just one person out there and help to inspire them to go on to pursue STEM-related careers or simply just to spend some time everyday thinking scientifically. I personally have heard from numerous people over the past year about how we have made a difference within their lives or the lives of their friends or families. I have also heard similar stories from my teammates, and that is the golden metric. I am beyond proud of my team and what we have been able to accomplish and look forwards to continue to share with our readers about STEM over at our next project: EAF. For those that do not know, Engineering A Future (EAF) is a website that I originally intended to launch back in December 2012 with the goal of inspiring interest in the STEM fields amongst the general public…sound familiar? After preparing and stockpiling posts for a few short weeks, my Winter Break ended and the Winter 2012 quarter started in at Cal Poly Pomona (CPP) and my plans fell apart. I had become far too busy, did not have any help, and simply put had never done anything like EAF (or TeamUV.org) before. EAF was created with good intentions, but was not planned for properly by me, but I can assure you, that has all changed. Flash forward three years and EngineeringAFuture.com will be relaunching on Monday (July 13th, 2015). This time the website is ready to go, as is the team. I have spent the past few months preparing EAF for its launch and am excited to cut the ribbon Monday morning. EAF will follow the same idea that TeamUV.org has, but will take it to a whole new level. EAF has been optimized with one goal in mind: to get as many people as humanly possible excited about STEM. Crazy, right? Well I believe that I have the perfect team to do it and that we are more than prepared to hit the ground running, help people to learn, learn (ourselves), and just have fun with it. Most of Team UV will be carrying over to EAF: Abraham, Ketton, and Andrew will all be bringing their massive brains, awesome outlooks, and passion for STEM-blogging and connecting with the community over to EAF. Unfortunately, Ben will not be continuing with us at EAF and so we wave a somber goodbye to a valued team member and friend. But fear not, while we may be losing a teammate, we are also introducing some awesome new features. Guest Posts: This is a cool new category where people from outside EAF can submit requests to write guest posts on EAF! Read more here. On top of this, the new website is far more aesthetically pleasing, has many cool features and pages, and will hopefully mean a much more awesome experience for our readers and followers. Lastly, we have some very cool ideas in the works for some awesome new types of content that will launch later on down the road. The website is currently having its finishing touches put on with the About EAF page being finished up offline before transferring it to the site this weekend, a few member bio pages being finished up, and the graphical interface being tweaked a little bit more for Monday’s launch. In closing, we want to thank our readers/supporters/followers for joining us along this journey and sincerely hope that all of you will continue to follow us over at EAF starting Monday! On Monday, a post redirecting our readers to EAF will be published. Goodbye, Farewell, So Long…..For Now! Well looks like the time has come to say farewell. This has definitely been a fun ride here at TeamUV.org and I can definitely say I will not forget it. I honestly want to thank everyone who has supported us this entire trip whether it be reading our post, donating, commenting, or any kind of support you have given us. I just hope that we were able to shed some light on all of the interesting items that people just like us have created in the STEM field. We all have learned a lot from the beginning of this project (SHIELA-D) up til the end (DORY) and that experience is something that we will never forget. You know, anyone can put up an article. But when you put up an article and see that people are coming to the site, reading it, and leaving comments, it is such a great feeling and once again I want to thank everyone who supported us no matter how small or large. As for the “For Now” part, I will be putting up articles for Engineering A Future for a little while so feel free to come, kick back, and read some more articles! From the coolest guy in the group…..You Rock! Posted in: Blog. Tagged: Blog, Engineering, Mathematics, Mechanical Engineering, Research, Science, Senior Project, STEM, Team, Team UV, Technology. 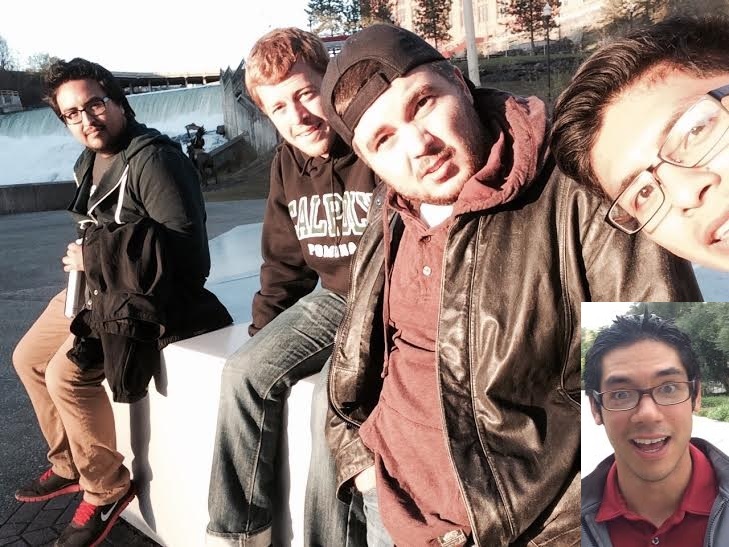 NCUR team photo in Spokane, WA (left to right: Andrew, Ben, Brian, Abraham, + Ketton). Abe here. Just wanted to thank everyone who donated to our project, read our articles, or simply supported us along the way. We accomplished a lot with this project, visited a lot of places, and even represented our department at the Engineering Project Showcase. More importantly, I am more than pleased with what we learned by tackling this project. I think everyone on the team got a glimpse of what being on a real engineering team was all about and we can now take this experience to industry or wherever we go. I hope that what we have done here inspires you to do something you’re passionate about and give it your all. In closing, I will continue to write for Engineering a Future for the next few months so follow us there! Goodbye nerd friends. I’ll see you later this month on EAF! Posted in: Blog. Tagged: Blog, Education, Engineering, Innovation, Mathematics, Mechanical Engineering, Science, Senior Project, STEM, Team UV, Technology. It has been quite an adventure writing the posts for this site, I know I have learned a lot, and hopefully you have too. While this blog catered mostly to people interested in the science technology engineering and math fields I did what I could to make it accessible to all. One of the best ways to learn something new is to try and explain it, so thank you for letting me learn by explaining to you. Hopefully most of you will continue on the Engineering A Future. I will not, my blog writing journey has reached its end here. It was fun while it lasted stay curious and stay creative, always stretch your minds to the limits! We have been yearning for the hoverboard technology ever since it premiered in series like Back to the Future and Real Adventures of Johnny Quest. But, due to the complexity of the underlying technology, no hoverboards have yet been able to accommodate a real person during flight. It has largely been agreed that the future hoverboard’s levitation effect will come from the application of electromagnetic levitation rather than any propulsion. But in addition to the electromagnetism, the new board also uses liquid Nitrogen in some capacity. The new attempt at the hoverboard is called Slide and it can lift itself off the ground and carry a person. Not enough technical details regarding the board of our dreams are available, and the sole source of information is a video released by the Tokyo branch of Lexus, the company behind this invention. The project is a part of the Amazing in Motion campaign by the Lexus company that has produced an 11 foot tall android, a swarm of quadcopters and mannequins performing in Kuala Lumpur. We see in the video (below) how a young man is getting off from his boring regular board and then moves towards the Slider board. It really seems to be levitating in thin air. It seems to be a remarkable feat of engineering and a long-awaited ride for us. Due to the brand image of Lexus, it is unlikely that it is an edited video. The video is real but to see an actual hoverboard is mesmerizing. I bet there are many technical difficulties to overcome before we can actually see it. There had been an attempt of making a working hoverboard before as Kickstarter attracted the Hendo hoverboard that could levitate and move across a floor of some conductive material to create a secondary field. The Lexus spokesperson told the media that there won’t be any disclosure of information before the end of the month when the board could be unveiled for the cameras. However, we cannot help but feel suspicious about the whole thing. The electromagnetic levitation requires a particular type of surface to float on. In the video, the guy appears to be doing so on concrete, which doesn’t seem to make sense. Maybe there is a secret to the smoking sides of the hoverboard. They must contribute towards its function in some aspect. Check out the video below and see what all the fuss is about!